The Memory slots are located inside the unit. To install the memory, you have to remove all the hard drive caddies. This isn’t an issue because we have to install the hard drives too. 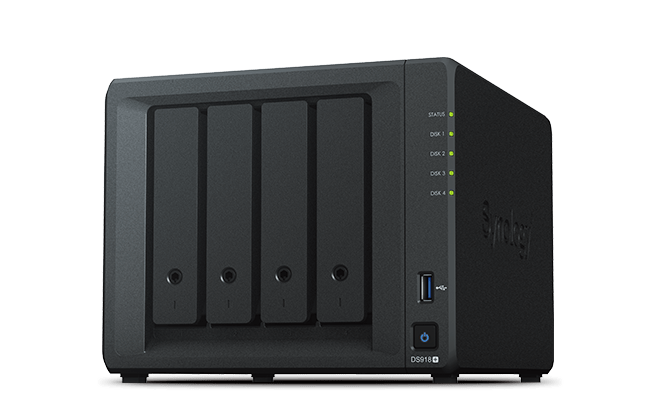 If you already have a Synology deployed with production data on it and want to upgrade the memory on it. The most important piece is to label the hard drives. 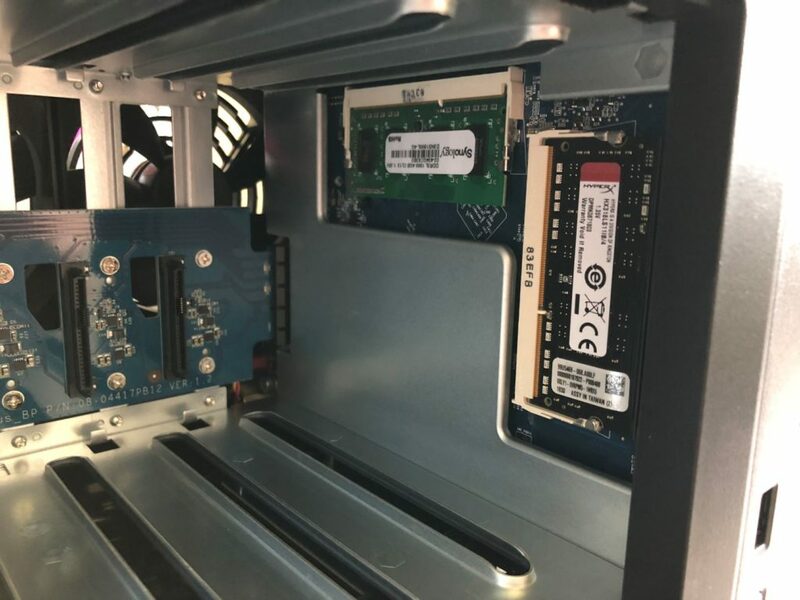 It’s very important when you shut everything down and take out the hard drives to install the memory, that you put the hard drives back in the same slots they came out of. Besides the hard drive variables the memory install is straight forward. The unit uses DDR3 1866 SODIMM memory modules. 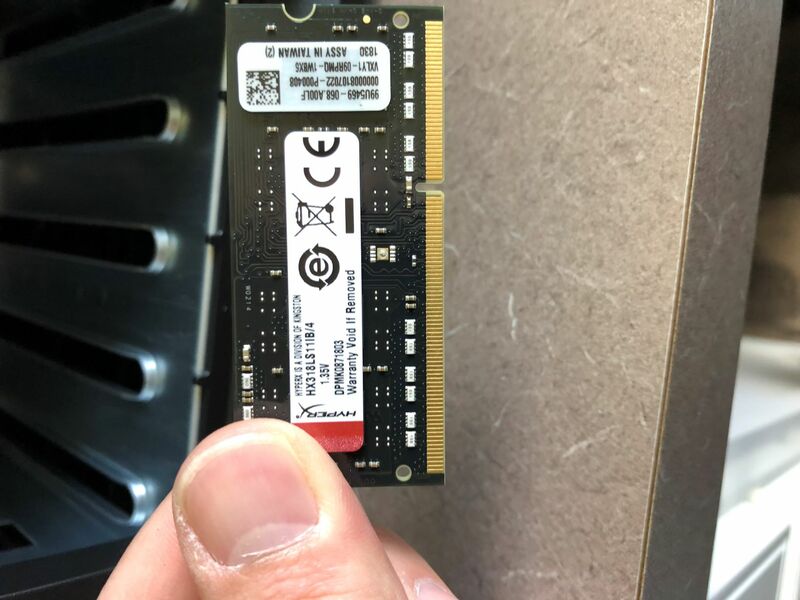 I picked up a 4GB Kingston Hyper X module. 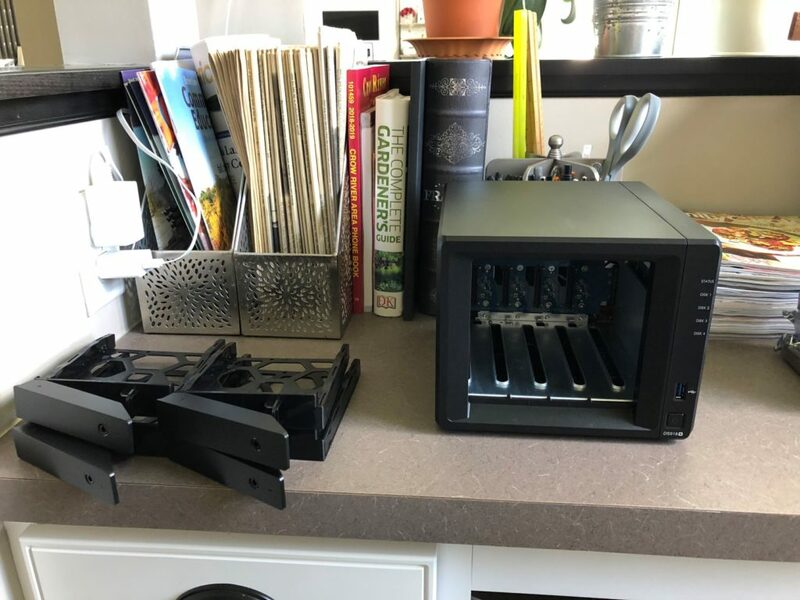 Normally for this type of deployment I would have picked up the Synology recommended module, but the Synology part was $80 and at time of purchase the Kingston module was $35. Synology doesn’t check to see if the memory is “Authentic modules” like HPE does in their servers. So I decided to save $55 and memory is memory. The installation is pretty straight forward. Line of the key on the stick of memory to the key on the slot and insert it into the slot then press down. Now lets verify that the NAS sees the memory. *Unofficially* If you’re looking to install a larger memory stick then 4GBs then first take out the 4GB module in slot 1. Install the new module into slot 1 and install the Synology 4GB module into slot 2. On any computer when you have mixed sizes of memory modules it’s more efficient to install the bigger module first. Another thing to consider is that the CPU in this model supports dual channel memory. Synology doesn’t say if it does or doesn’t put that functionality into the NAS or not. Generally when you mix memory sizes it drops the memory mode down to single channel mode. So Adding a 8GB Dimm to the 4GB module that is already installed my cause an issue with throughput. Overall, from a design prospective it would be better to spend a little more and buy a 16 GB kit. Lastly to cover the technical hear say about memory upgrades. I’ve seen the posts online where people have installed larger the 4GB dims into this system specifically. 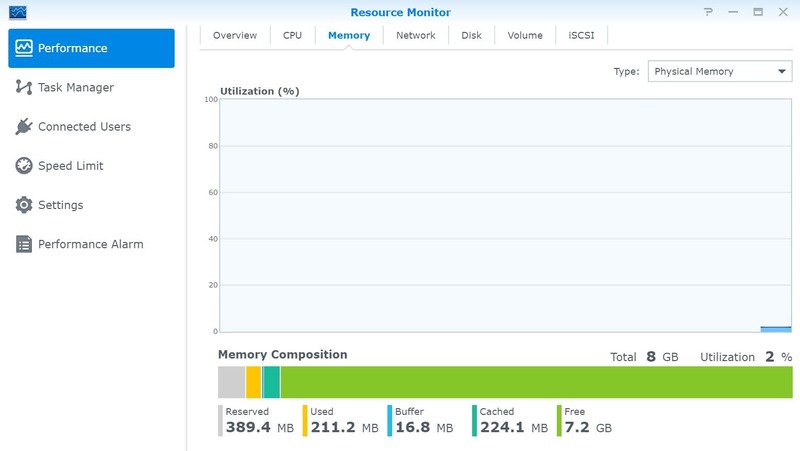 Synology’s site says the max is 8GB and on Intel’s web site for the CPU, they list the maximum memory for the CPU is 8GB as well. So proceed at your own risk. 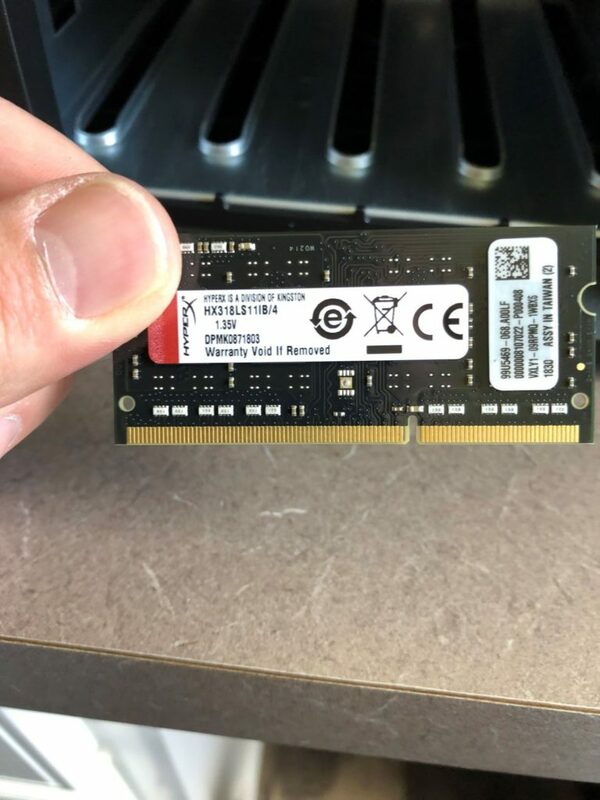 This could be a situation where, larger DIMMS can be installed and will show in the unit it’s self but, you won’t actually be able to use the memory. If this is the case you’re wasting your money on the memory upgrade. If you’re really pushing the unit where you need 16 GBs of ram in the NAS then you need a higher unit. The Hard drive Caddies for the unit is tool less for 3.5” drives. If you’re using 2.5” drives, then then you will use the included screws to install the 2.5” drives into the hard drive caddies. To install the hard drives pop of the sides of the caddies marked “Pull”. Then place the hard drive into the caddie and line up the screw holes on the hard drive to the holes on the hard drive caddy. Then insert the Pull sides back into hard drive caddy. 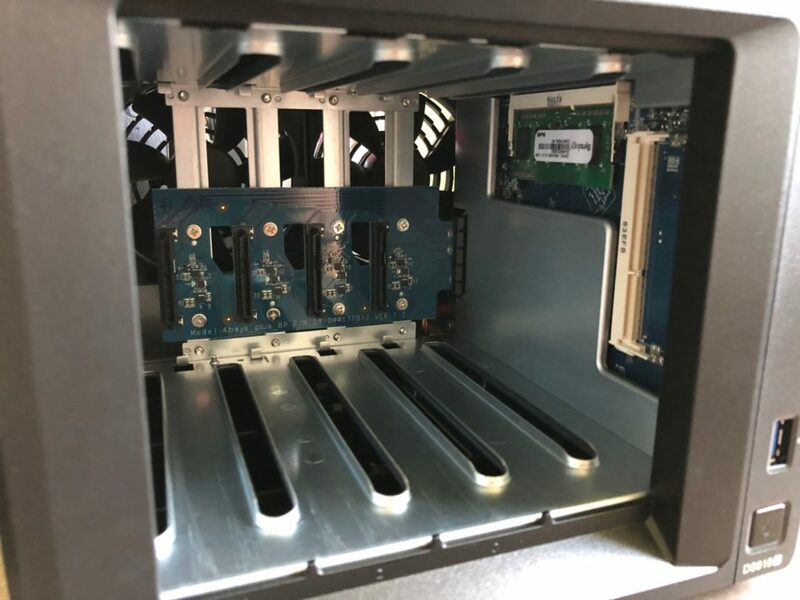 Once all the hard drives are installed into the caddies, slide them into the unit and you’re ready to start setting up the unit. One last note about hard drives. When you go to Synology’s Compatibility Tool. you’ll see a bunch of different types of hard drives listed. Everything from Desktop hard drives to Server hard drives. Over the years I’ve read a lot of documentation from vendors and have worked closely with hard drive vendors on certain projects. When designing a RAID array regardless on what is controlling the RAID array this is how it breaks down. The easy answer is to is if you’re building an array and planning to use a parity based RAID (RAID 5/6/50/60) array don’t use Desktop Hard Drives. The array will fail prematurely. 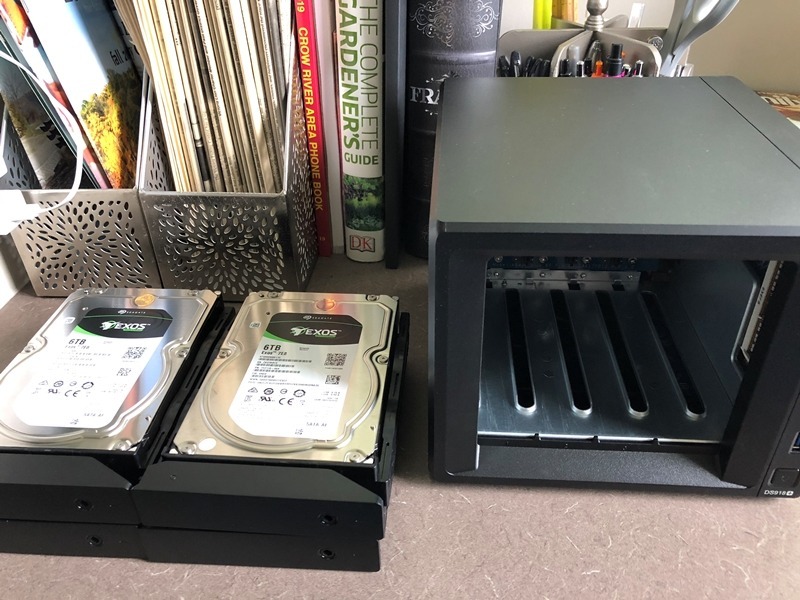 NAS drives are a nice happy medium in price/capacity/and feature set. Generally they are a little slower, but in a NAS deployment you’re throttled by the networking which is usually 1 GB. If your debating between a “pro” version of a NAS drive and a Server hard drive. I say go with the Server drive because usually the price difference at that point is usually only $10-$20 a drive and the Server Drive will last longer. Obviously if you know going to beat up the NAS and pushing it to the max then go for the Server Drives and don’t even consider the lower options. In my case it was actually cheaper to go with the Server grade hard drive then the NAS option. This is actually pretty common on Amazon. There is a large mark up on Server grade components because of the limited market space. 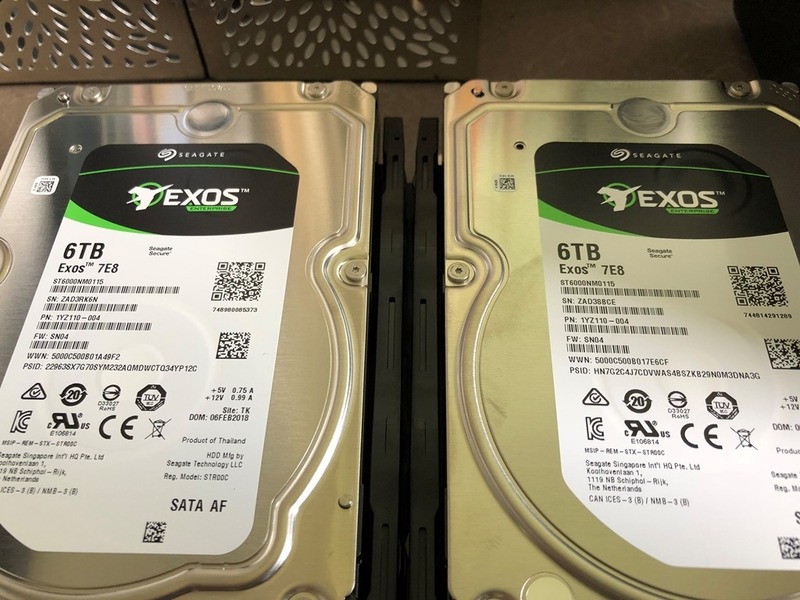 There is many times where I find that you can get good deals on server grade hard drives on amazon from amazon/3rd party vendors versus buying from Newegg or CDW.